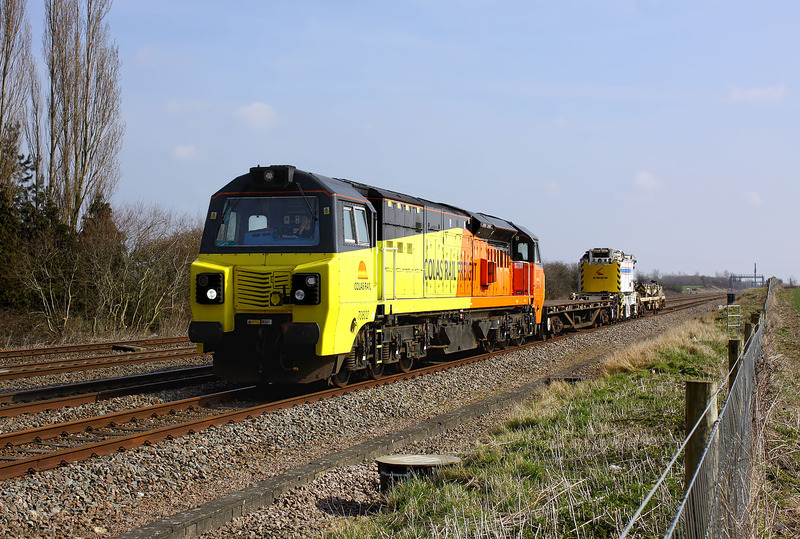 70802 comes to a halt in Challow loop on 21 March 2016 with the 6Z90 10:33 Didcot to Toton, conveying Kirow crane DRK81624. Didcot to Toton is a fair distance, but it shouldn't take all day. However, when it is booked to travel via the Severn Tunnel, Hereford, and Shrewsbury, with numerous layovers, its not surprising that the booked arrival time is 21:24!